The GVA stands for education, innovation and integrity in Vodka. We know we can achieve more when we work together. Bartenders, distillers, journalists, producers, marketers, farmers, buyers sharing their knowledge to further this great category. We’d like your brand to join us. Not only will you benefit from our shared resources, events and directory, but your brand will be recognised by consumers and the trade as a vodka that believes in clarity and quality. Help customers find and understand your brand, and why it is so special. Welcome to the Global Vodka Alliance. Benefit from shared resources, knowledge and information from all around the globe. 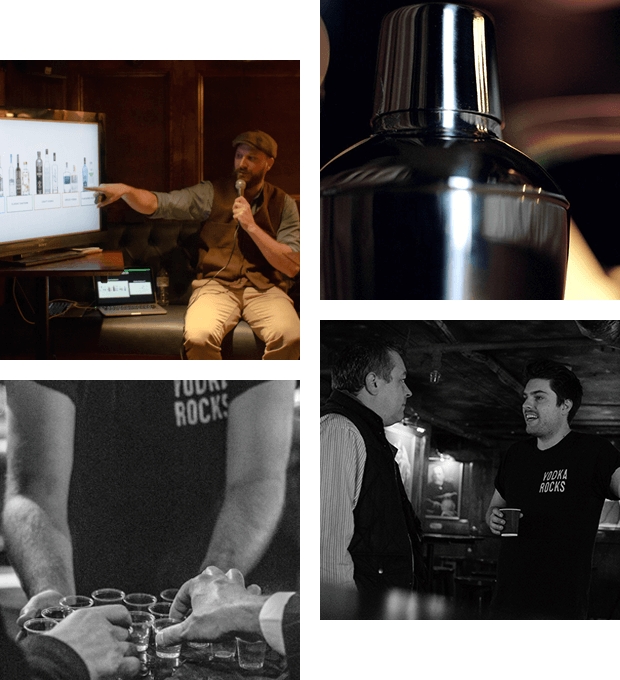 Allow customers to discover your vodka, and what makes it truly unique. Guaranteed coverage of news and events. The GVA stands for innovation, clarity and education in vodka. Make it clear that your vodka is a quality product. We’d love to hear from you. If you have a comment, news, event, idea, insight or feedback you’d like to share please use the form provided. We will reply to you within 4 hours.